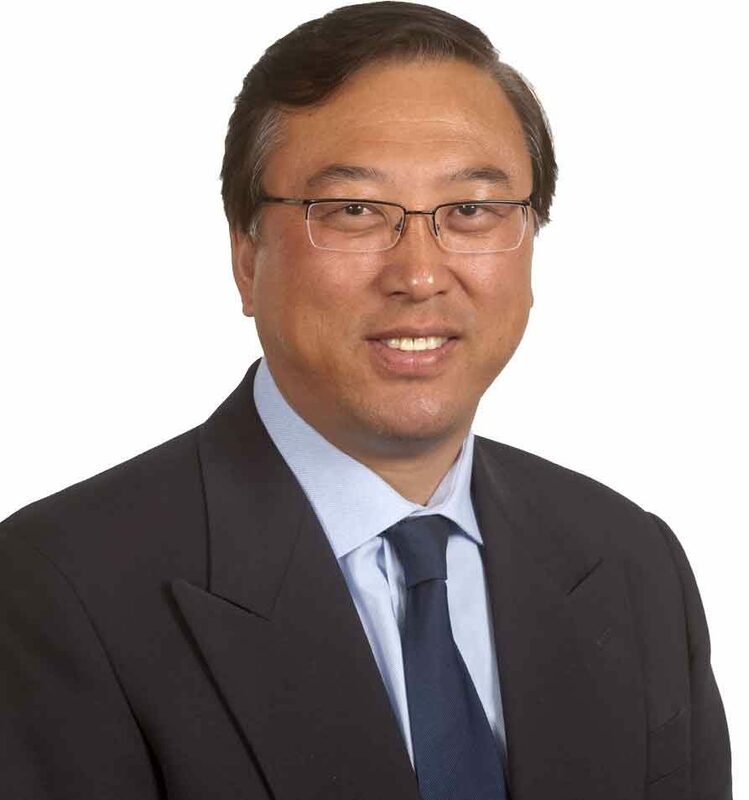 Bringing with him an educational background in chemical engineering, 30 years of experience, and strong knowledge of sales and marketing in US, European and Asian markets, Stephen Wang today serves as the CEO of Kingchem. As a familiar face and early explorer in the world of business connections between the U.S., Europe and China, Mr. Wang combined his business experience, entrepreneurial vision and knowledge of Eastern & Western cultures to build a new business, Kingchem, from the ground up in the hopes of spanning those two cultures. Expanding upon and continuing his initial successes with third-party representation, he went on to add commercial operations in Shanghai, the manufacturing component of the Kingchem Liaoning Chemical Co. in 2002 (Fuxin, China), the research and development abilities of Kingchem's R&D center in 2006 (Dalian, China) and, in January 2016, Kingchem Life Science LLC, a new, wholly-owned U.S. subsidiary of Kingchem Liaoning Chemical Co. which has taken over the sales of all of Kingchem products manufactured in-house. Kingchem is currently a family of companies with 500 employees and multiple facilities and locations which span two continents. It offers sophisticated custom manufacturing and R&D services based in China, while also operating its own administrative, commercial and logistics facilities in both the US and China. Thus, today, Kingchem is very well positioned to serve its global customers in Asia, Europe and North America. Lillian Wu’s name must also be synonymous with the story of Kingchem. 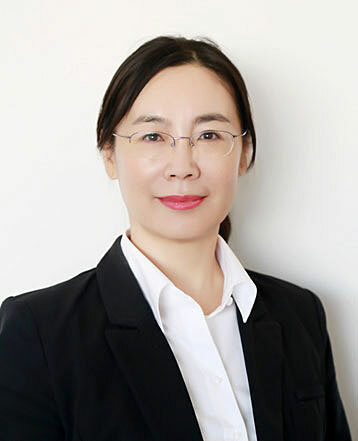 With an educational background in chemical engineering, and 20 years experience in both R&D and technical marketing, Ms. Wu brought extensive experience in new product development, sourcing and business development to Kingchem when it was founded in 1994. Kingchem’s success is largely a story of consistently supplying better customer satisfaction, and Ms. Wu’s detail-oriented perspective and “never give up” style has ensured that Kingchem continues to excel in this regard. Her experience of living and working for long periods in both the US and China has also given her a unique position in communicating between Kingchem’s Western customers and China-based suppliers. 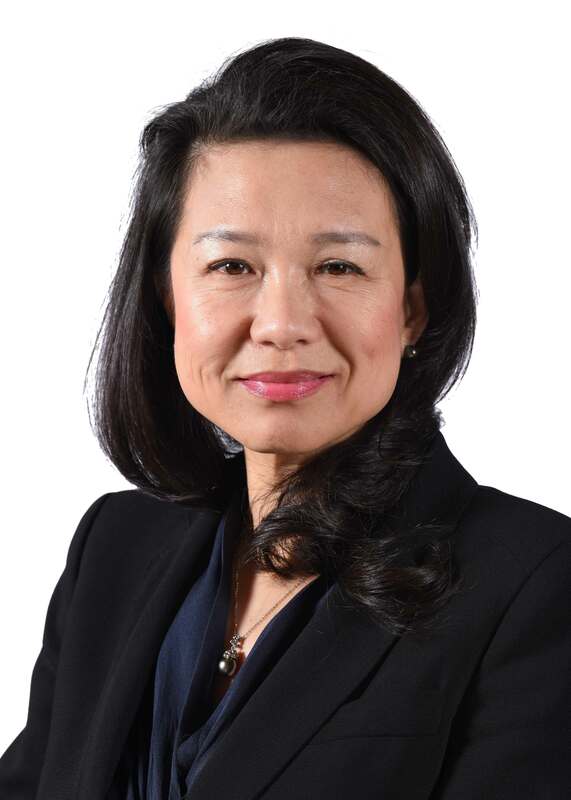 To this end, she has served a primary role since the company’s founding in bringing to fruition the credibility and success behind Kingchem’s motto: “Eastern Value, Western Management.” As she has for the twenty years of growth that Kingchem has experienced since its founding, Ms. Wu today continues to provide hands-on executive management to Kingchem. For over ten years, Ms. Penetra has been one of the steady, guiding hands behind Kingchem’s consistent financial success. 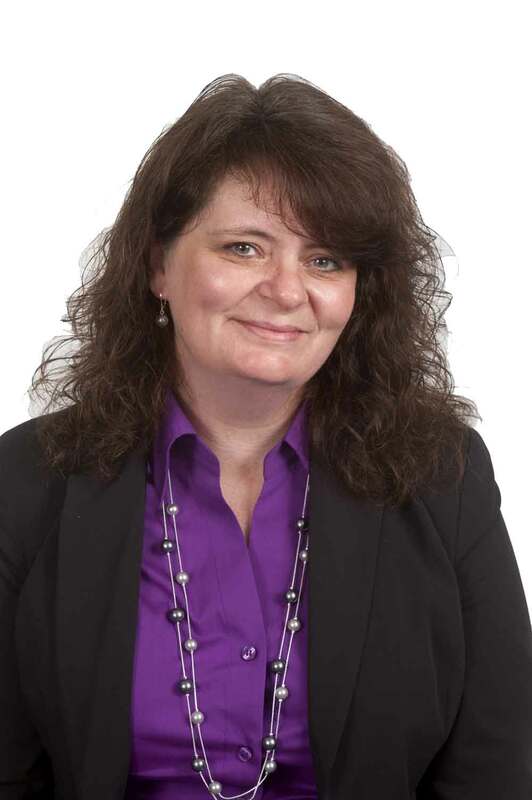 She came to Kingchem after extensive experience in her field at the State of New Jersey’s Department of Labor and the German concern YKK Stocko Fasteners GmbH. Currently, as Vice President for Accounting and Planning, she leads the company in the areas of accounting, business management and human resources. 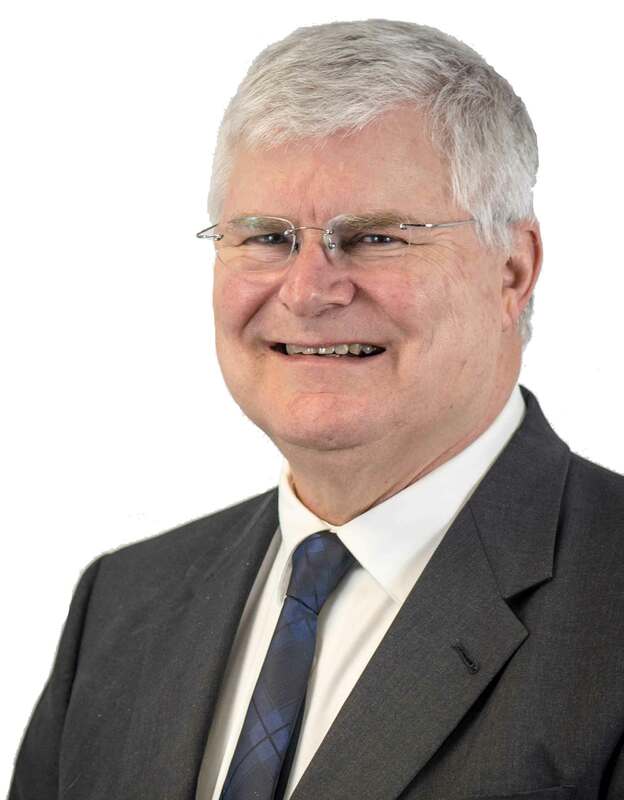 Along with academic credentials in chemical engineering, Mr. Bishop brings to Kingchem many years of marketing and business development experience serving the Fine Chemical, Pharmaceutical, Agrochemical, and Polymer Intermediate markets. Before joining Kingchem, Mr. Bishop held upper management positions with such national and international firms as Hoechst Celanese Corp., American Cyanamid Co., and the National Starch and Chemical Co. Mr. Bishop's fifteen years of dedicated service to Kingchem and his strong experience in the Fine Chemicals marketing and sales arena have made a solid contribution to Kingchem's business growth. Dr. Yoder has served the pharmaceutical, agrochemical, electronic chemical and specialty chemical industries since completing his Ph.D. studies in Synthetic Organic Chemistry with Prof. Jeffrey N. Johnston at Indiana University at Bloomington (Indiana, USA). Before joining Kingchem, Dr. Yoder served for over a decade at Albemarle, a major U.S. fine chemical company, where he held a number of positions, including Research & Technology manager leading their R&D group, and Electronics Division Business Manager, where he led global sales and technical efforts in electronic chemicals. While at Albemarle, he also achieved a number of awards including those, for example, promoting the principles of green chemistry and engineering in-house, and educating the technical community on green metrics. 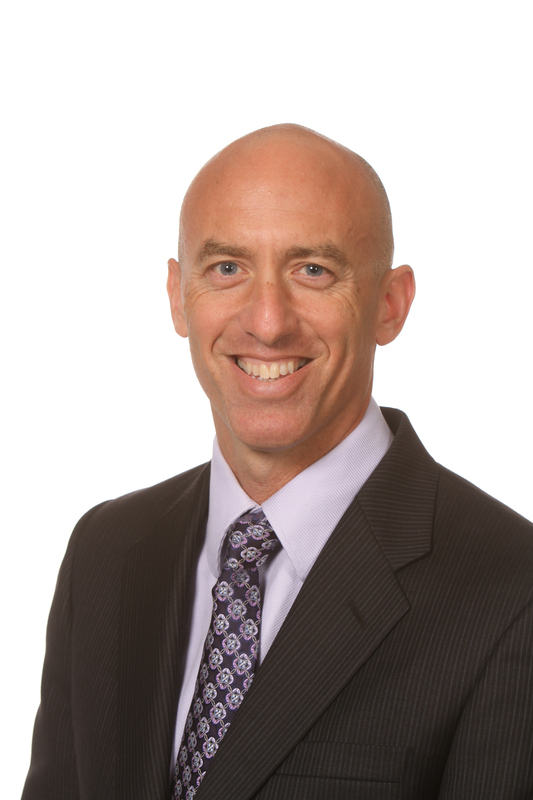 Dr. Parnes brings to Kingchem experience as both a laboratory leader in the global biopharmaceutical industry and experience in business-development leadership. 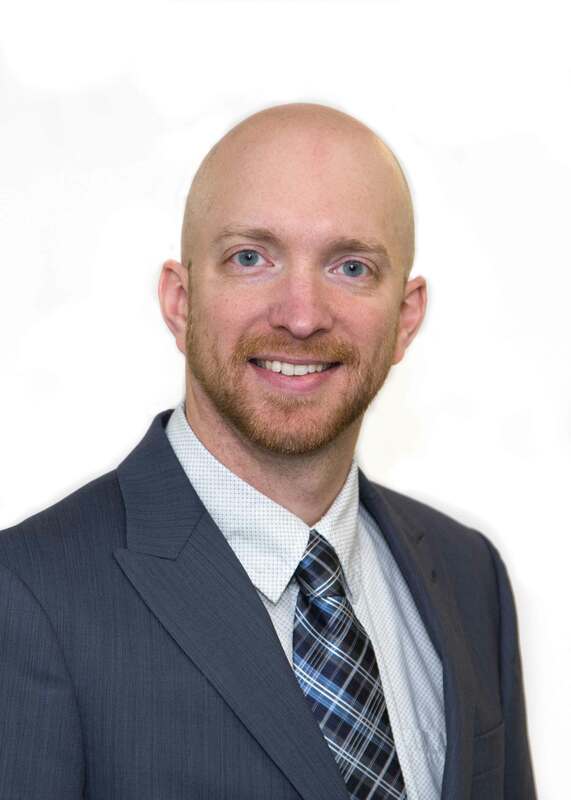 Most recently, he served as an account manager with the specialty organic chemicals company, TCI America, where he was able to cement lasting relationships with customers. Previously he was with Celgene Corporation for over 15 years working primarily in the field of kinase inhibition. Dr. Parnes is also a subject-matter expert on synthetic and heterocycle chemistry. He is known for both his ability to develop relationships with external partners and for his ability to facilitate the exchange of ideas between scientific staff and management in order to best position projects for success. Dr. Parnes earned his Bachelor of Science degree in chemistry from the University of California, Davis and his Ph.D. in Chemistry at the University of California, Irvine. After completing his academic credentials in business and marketing, it was perhaps Mr. Covino’s third area of interest and academic concentration, biology, that helped propel him into an almost 30-year sales and marketing career in the pharmaceutical, cosmetic, food, and nutraceutical industries. Mr. Covino has served in upper management positions with such national and international companies as Dr. Madis Laboratories (today’s Naturex), Bio-Botanica, Flavine International, Freedom Chemical Diamalt (today’s BF Goodrich/Diamalt). Holding advanced degrees in organic chemistry from both Shanghai Institute of Technology and Shanghai Jiaotong University, Ms. Lu has been working in the sourcing and sales management industry for over ten years. Previous positions have included sourcing manager with the Shanghai office of the large Swiss trading firm DKSH, and business director at Synica Shanghai (a well known Shanghai fine chemical producer associated with the Shanghai Institute of Organic Chemistry, or SIOC). Ms. Lu’s technical knowledge and commercial expertise continues to play an important role in helping Kingchem further strengthen its business development in China. 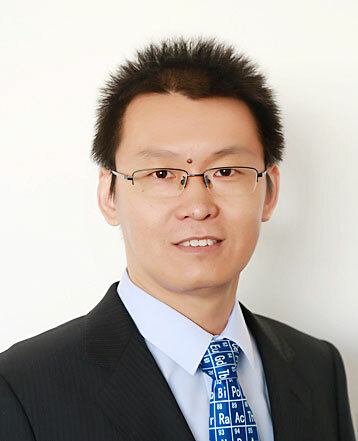 Mr. Zhou has six years of foreign-study experience in the United Kingdom, and holds a bachelor degree in Chemistry from the University of Manchester Institute of Technology (UMIST), and a masters degree in Physical Methods for Bioanalysis and Postgenome Science from the University of Manchester. After his studies abroad, Mr. Zhou gained a number of years of commercial experience in China, including a time with Evonik Lynchem. He went on to join a pharmaceutical-related database and internet management company in Suzhou before bringing his strengths in global marketing to Kingchem. Mr. Zhou currently holds the title of Project Manager. After graduating from Tongji University in Shanghai, one of China’s most prestigious universities, Ms. Xu entered a career which has included the titles QA & QC manager, business development manager & key accounts manager at Dalian Merro Pharmaceutical Co. and Evonik Lynchem. Today, she is in charge of commercial-related affairs for Kingchem Dalian PharmaScience Co. Ltd. (the R&D arm of Kingchem located in the city of Dalian’s high-tech park) as well as responsible for various key commercial-related accounts for Kingchem’s Liaoning manufacturing plant. Mr. Zobel has over twenty years of management and manufacturing experience in contract manufacturing and the scale-up of active pharmaceutical ingredients (APIs) from gram to metric ton quantities. Before joining Kingchem, he served Cambridge Major Laboratories (now ‘Alcami’) and Apiscent Labs in positions ranging from laboratory chemist to Vice President in charge of plant operations. He offers significant experience in GMP manufacturing concerning the production of clinical APIs, and in the project management of drug development for new chemical entities (NCE’s) and generic API’s. Mr. Zobel also brings to Kingchem a reputation for safely but aggressively advancing projects to each milestone in the most economical manner so as to meet or exceed customer standards, quality and timeline expectations. Dr. Jass obtained his doctorate in Organic Chemistry at Indiana University, and went on to hold such positions as senior scientific officer and directorships, at companies such as Bristol-Myers Squibb and Cambrex. Dr. Jass has published extensively, and brings to Kingchem significant pharma chemical leadership experience spanning discovery through commercialization. He is known as an inventive synthetic organic chemist especially in the areas of problem solving, technical project management, chemical process and analytic development, and cGMP manufacturing. Today, for Kingchem, Dr. Jass provides direction and supervision for R&D and QC scientific personnel for API, excipient and custom organic chemical synthesis projects in a CRO/CDMO setting. With over 25 years of experience in Controller positions, Mr. Wilcox brings deep and broad knowledge to his leadership of the business operations and finances of Kingchem Laboratories. In addition to his chemical, pharmaceutical and nutraceutical experience, he has also obtained his wide skill set and results-oriented business acumen from within industries as diverse as construction, food processing and automation, where, for example, he successfully led various companies into more industry specific ERP systems over a wide range of database platforms to provide more timely and accurate financial detail. Ms. Huebner has over 20 years experience in the pharmaceutical industry both in finished drug and active pharmaceutical ingredient manufacturing. Prior to joining Kingchem, she served in Quality Control, Quality Assurance and Regulatory capacities for Schwarz Pharma, AMRI and Alcami Corporation. These companies have provided the opportunity to work with drug products and APIs in early phase development through commercialization. 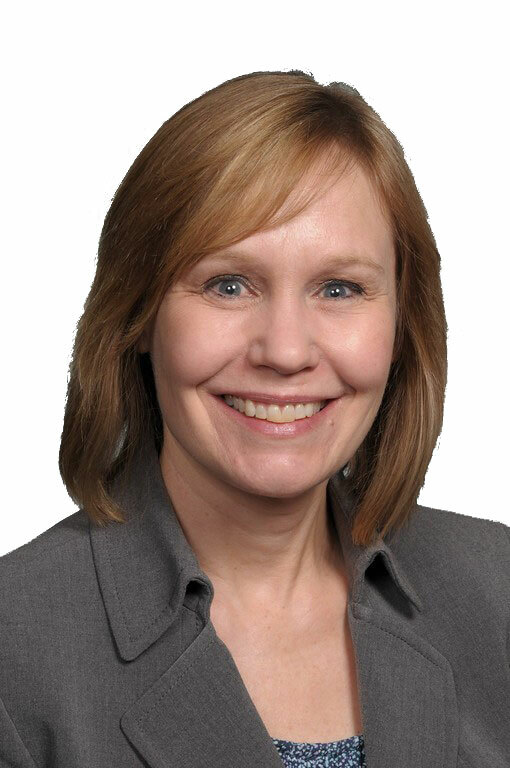 Ms. Huebner brings extensive knowledge of cGMPs, quality compliance and global regulatory affairs to her leadership role at Kingchem Laboratories. After graduating from Shenyang Chemical University, Mr. Liu went on to achieve over 30 years of experience in the fine chemical industry, particularly in the fluorination field. 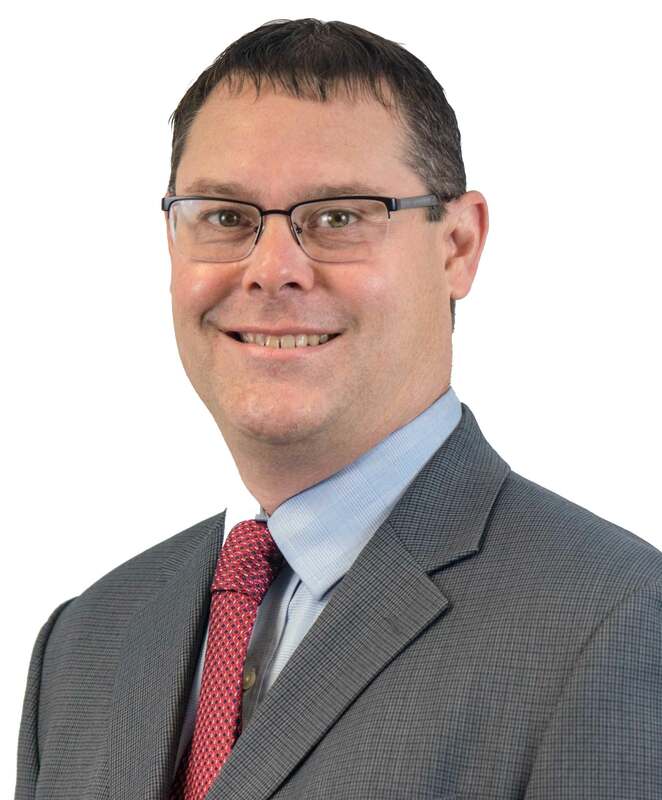 As a consequence, he brings to Kingchem extensive knowledge and experience in the management of plant operations, production, engineering, and EHS. Before joining Kingchem, Mr. Liu served with various fluorochemical enterprises including, for example, Evonik Lynchem, and has held such upper management positions for more than 20 years. Mr. Liu currently holds the position of General Manager at Kingchem Liaoning Chemical Co.
After graduating from Qiqihar University, Mr. Jia achieved years of experience in R&D and production, and in his earlier career participated in many campaigns for Evonik Lynchem. Today, Mr. Jia is known for bringing innovation and excellence to production management at Kingchem. Besides his deep knowledge of production, he is also known for his hands-on plant management style and playing a critical role in the plant’s day to day operations. Mr. Wang holds a certificate as a Certified Public Accountant (CPA), and achieved his Masters of Professional Accounting (MPAcc) from Dongbei University of Finance and Economics. Over his 20 years of experience in financial and capital markets, Mr. Wang has engaged in the fields of cost accounting in the manufacturing industry, financial-institution internal auditing, accounting-firm external auditing, enterprise accounting and investment and capital operation. He has held such positions as manager (investment corporation), deputy director (accounting firms), CFO (petrochemical company). 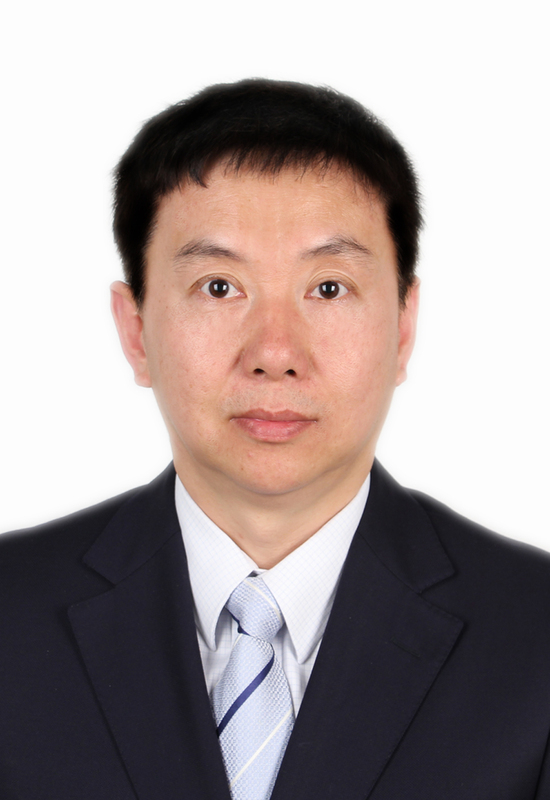 Currently, Mr. Wang holds the position of Secretary of the Board & Chief Financial Officer at Kingchem Liaoning Chemical Co.
Ms. Liu, a graduate of Dalian University of Technology, has 20 years of experience in the technology of the chemical industry. She has held many positions, from chemist for R&D and production, to chief engineer. As one of the Kingchem Liaoning plant's most senior members she has spent the last nine years in the sales and marketing field directly serving Kingchem's plant in Liaoning. As well, in her position she also engages her extensive business experience in the import/export field. Noted for her loyalty and dedication, today she serves as Kingchem Liaoning’s Vice General Manager of Business. After graduating from the Department of Chemistry at Nanjing University, Mr. Liu gained rich experience in the field of chemical pharmaceutical production management. In October 2015 he then joined Kingchem from the Northeast Pharmaceutical Group. Today, Mr. Liu provides Kingchem with wide experience in the fields of technology, production, and research and development management. Mr. Zhao graduated from Shenyang University of Chemical Technology where his focus was organic synthesis. 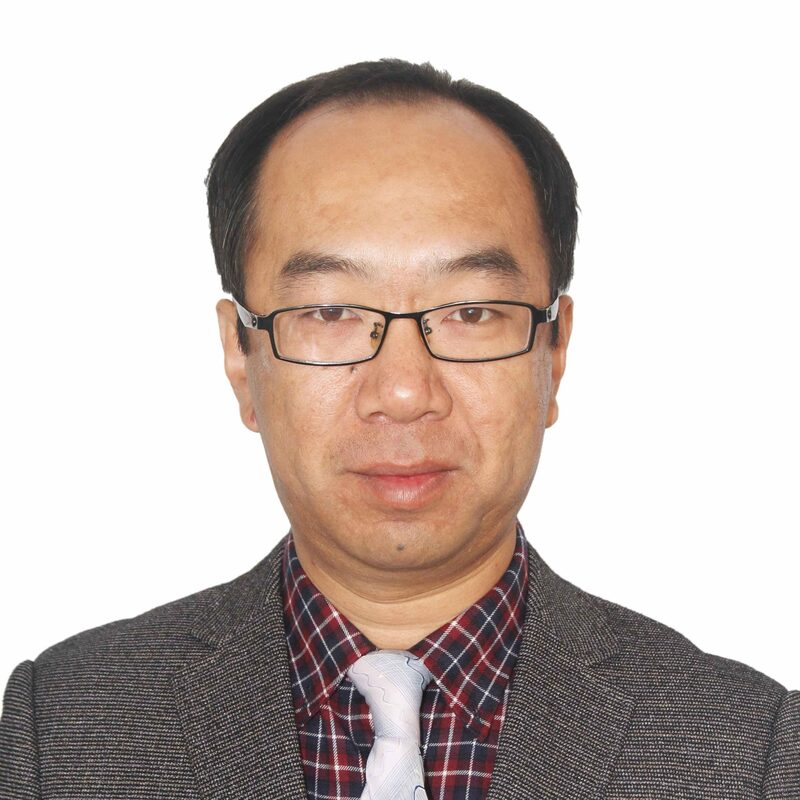 Since then, he has served as the director of the Fine Chemical department at the Dalian Guangming Research & Design Institute, as a project manager at Lynchem Dalian, as a Senior Project Manager at Evonik Lynchem Dalian, and as Technical Director at Panjin Honghe Chemical Co. 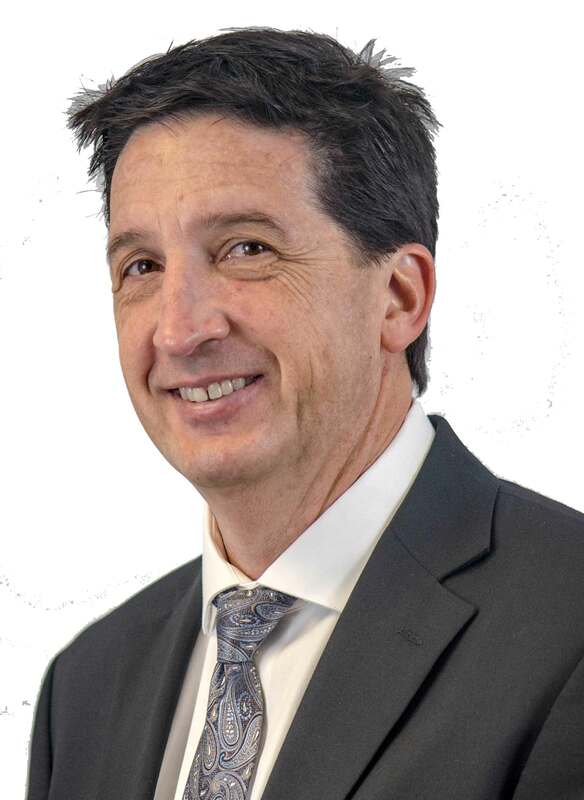 In his over 30 years in the industry, he has gained deep knowledge of process development, optimization to commercialization, including fluorination and chlorination. 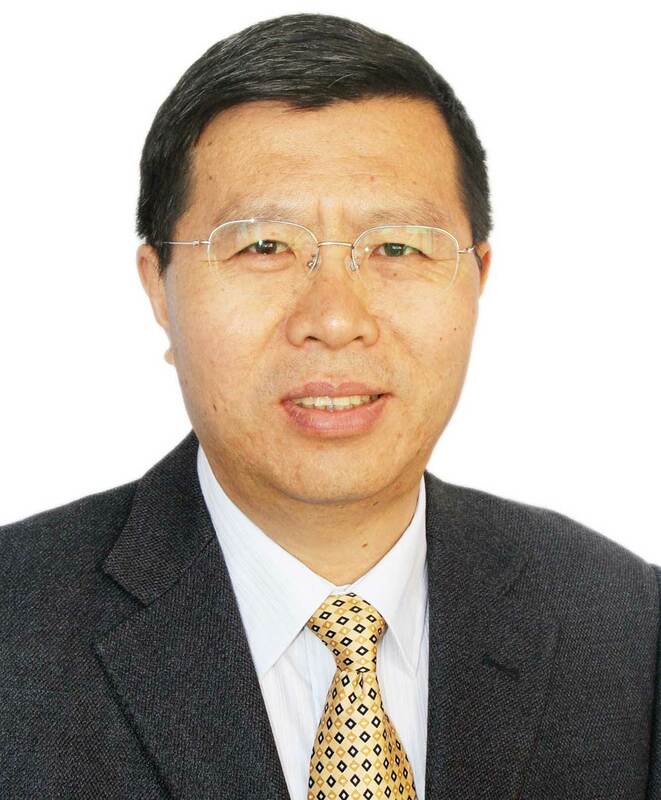 Mr. Zhao is currently R&D Director at Kingchem Liaoning Chemical Co.
Mr. Fu has accrued 30 years of broad experience in the R&D field of the chemical industry, particularly in the field of fluorination. After graduating from Shenyang Chemical University, he eventually held the position of director of the Fuxin Chemical Industry Institute -- one of the earliest chemical institutes in China handling fluorination. He then went on to serve at the Dalian Research & Design Institute of the Chemical Industry, and Evonik Lynchem. Currently, he is in charge of R&D at Kingchem’s Liaoning manufacturing plant. 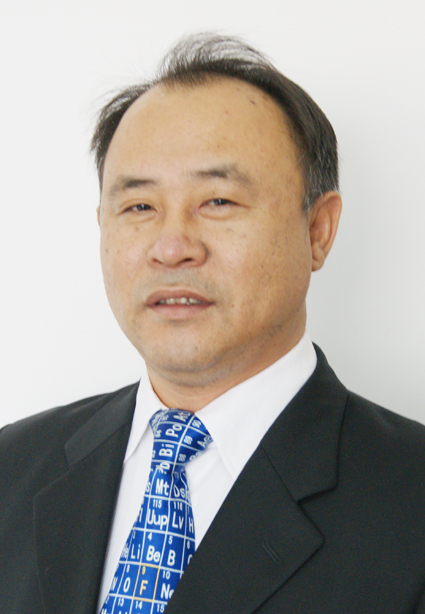 Mr. Hui has been with Kingchem since the founding of the company’s manufacturing operations in China. He has worked on the front line for 13 years, and served as Workshop Manager, Production Department Manager and Production Director. He offers rich experience in the field of production & operations management and the field of equipment maintenance & utilities support. As well, Mr. Hui is noted for his strong hands-on oversight regarding day-to-day production operations. Currently Mr. Hui holds the position of Production Director for Kingchem Liaoning Chemical Co.
After studies in the field of Analysis at the University of Science and Technology Beijing, Mr. Zhou went on to hold such positions in the inorganic chemical industry as QC Manager and QA Vice Manager (for example, at ELC). Today, Mr. Zhou is in the forefront of Kingchem’s commitment to quality management and EH&S. Ms. Yu, a graduate of Liaoning University, has 20 years of experience with the chemical industry and its technologies. Her positions within the industry have included serving as a research & development chemist, a logistics manager, and as assistant to the president & human resources manager for such companies as Dalian Dyeing Chemical Co. and Evonik Lynchem. Today, Ms. Yu holds the position of Assistant to CEO and Human Resources Manager at Kingchem. 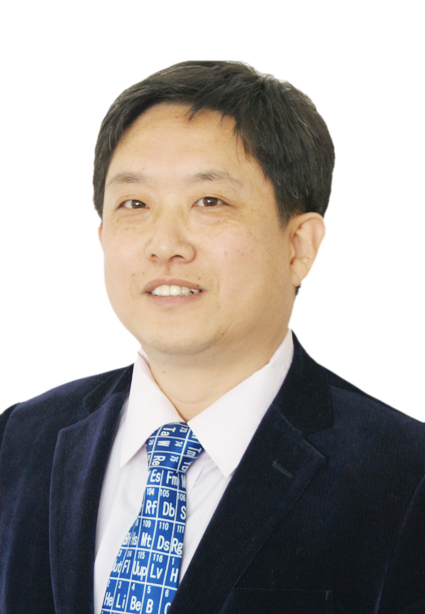 Having achieved a BA and an MA in Fine Chemicals at the Dalian University of Technology, Dr. Wang completed his Ph.D. in Organic Chemistry at the Dalian Institute of Chemical Physics. Leaving a research position held after his studies at the Institute, Dr. Wang went on to join Dalian Chemphy Fine Chemical Co., Ltd. as a Group Leader. 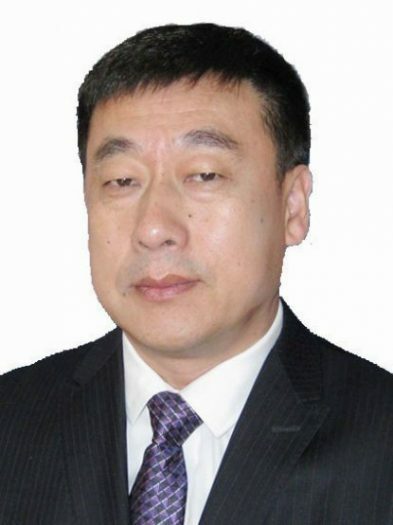 Currently, he holds the position of General Manager of Kingchem's Dalian R&D center. A graduate of Beijing University with a major in chemistry, Mr. Li served at the Sinopec Fushun Research Institute and Evonik Lynchem prior to his joining Kingchem. From his previous manufacturing company, he brought to Kingchem 20 years of hands-on experience in organic synthesis R&D. Throughout his career, Mr. Li has been involved with developing the process and scale up of pilot and large-scale production projects in the pharmaceutical, agrochemical and liquid crystal areas. 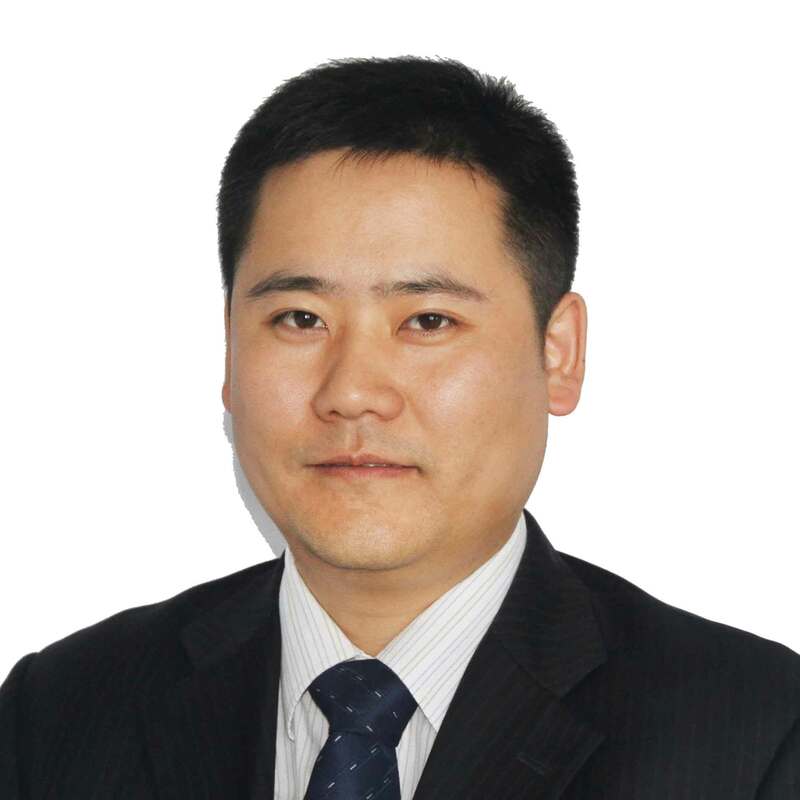 Today, Mr. Li currently holds the position of Vice General Manager at Kingchem's Dalian R&D center. Dr. Wang completed his undergraduate and master’s degree studies at the Dalian University of Technology, and completed his Ph.D. in organic chemistry at the Chinese Academy of Science Dalian Institute of Chemical Physics. He then completed postdoctoral work in organic synthesis at the University of Tokyo. He went on to hold various positions of responsibility in the field of process R&D, and joins Kingchem from the Jiangsu Feixiang Chemical Co. Previously, he had been with the Dalian Chemphy Fine Chemical Company. 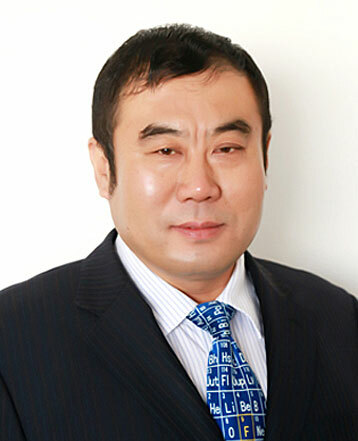 Dr. Wang is currently the Director of Kingchem’s Dalian R&D Center in Dalian, China. After receiving his Masters degree in Chemistry from Dalian University of Technology, Mr. Wang went on to join Dalian Chemphy and Evonik Lynchem as R&D department project manager. Today, he holds the position of project director at Kingchem. His most recent travels include the United States for extensive discussions with Kingchem’s external business partners. After achieving a Bachelors degree in Fine Chemicals at Dalian University of Technology and a Masters degree in Chemistry at Guangzhou Institute of Energy Conversion, Mr. Wang garnered more than ten years work experience in R&D and production related to fine chemicals, pharmaceutical intermediates, generic drugs and APIs through such firms as WuXi Pharmatech (Shanghai) and Evonik Lynchem. 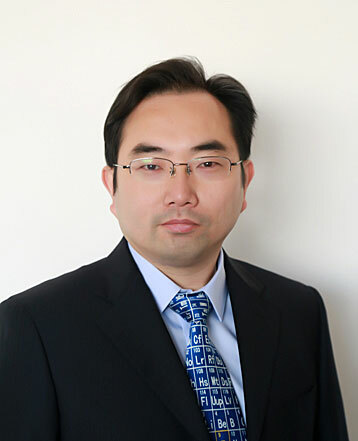 Currently, Mr. Wang holds the position of Project Director with Kingchem's Dalian R&D center. After completing his studies at Tianjin University, Mr. Li went on to achieve almost 20 years experience in the field of chemical catalyst and fine chemical synthetic plants through such companies as Evonik Lynchem and Kingchem. Whether for projects ranging from the laboratory or to scale up, Mr. Li’s many years of experience in production allows him to bring a unique and valuable perspective to Kingchem's R&D services. 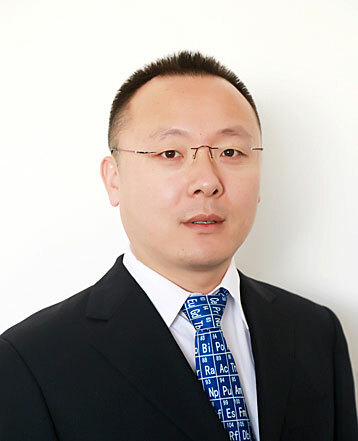 Currently, Mr. Li holds the position of Director of Project Transfer at Kingchem's Dalian R&D center. After graduate studies in Analytical Chemistry at Shenyang University of Chemical Technology, Mr. Song went on to join the Bingshan Group Dalian and Evonik Lynchem (Dalian). Today, he has over fourteen years of experience in fields such as analytical instrumentation, the construction of analytical method, GMP practice, lab management/analytical methods development, validation and transformation from R&D to plant. Mr. Song currently holds the position of Head of QC for Kingchem's Dalian R&D center, and as well oversees the QC operations of Kingchem's Liaoning plant.